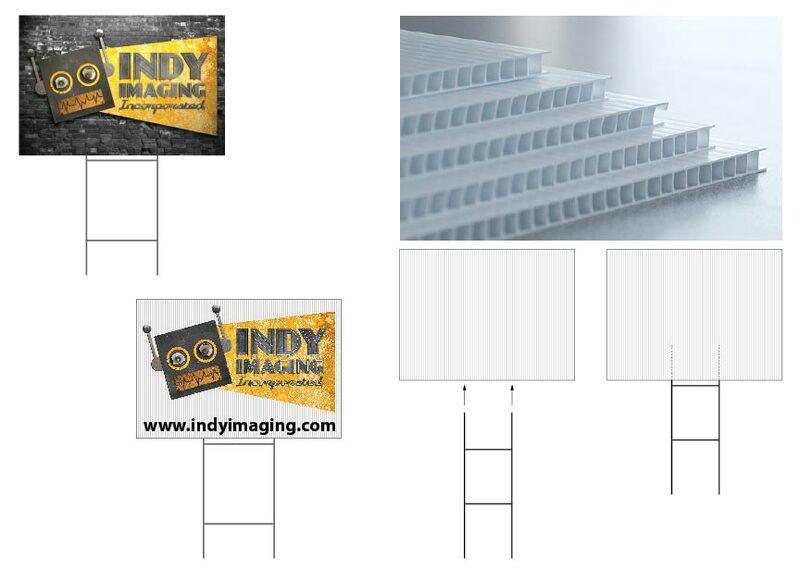 Yard Signs – Indy Imaging Inc.
Yard Signs are a cost effective way to advertise products, services, and short-term events. The most common size is 18in(h) by 24in(w), but custom sizes and shapes are also available. We also sell “H” stakes to stick the yard sign into the ground. What to consider when ordering Yard Signs. . . Does your customer need a custom sized or shaped Yard Sign? Yard Signs are for short term use (up to 6 months). Does the customer know that coroplast Yard Signs have a rippled surface? Do you need H stakes? Is coroplast the correct material for the customer’s application?